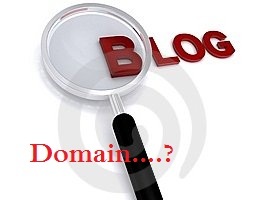 Now a days most of the people are interested to know about the domain. because it has become a very important part of the site. Sometimes some people gives more attention to your content even before the content. So today, I decided to talk about "what is a domain....? ". Domain name is a a realm of administrative autonomy, authority, or control on the Internet. Simply it is the way of showing your ownership of a web site. 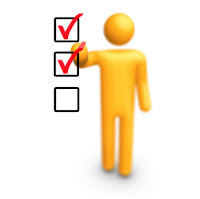 Your domain will show you the reliability of your information and what is your site for....?. To have a domain you should have a hosting site for your site. There are several types of domain names available for your sites. 1. Top Level Domain (TLDs). 2. Second Level Domain (SLDs). 3. Lower Level Domains (LLDS). What are the Top Level Domains.......? These are the set of widely accepted type of domains in the world. Most readers will determine about your site just looking at your domain name.Also some ad networks focus only on this domains. Even in the SEO aspect these are the domains preferable to use. You can see for what purposes these domains are used below. This is the most popular domain name in the commercially based society. Also it is the most popular from all. .Info is a domain that is used in information based site. Also this is not a second to .COM domain in the informative world. If you are going to start a information based site, it if preferable to use this kind of domain for your site. This is also in the informative sector. Specially this refers to sites which are about the Internet. This is mostly used in individual and non profitable organization. Other than above 4 domain there are set of other domain names including country code domains and some domains like .biz, .mobi. These county code are not accessible to all usually. because they have to use with the regulations of the relevant country. As most of you are bloggers, you know about sub domain. As example the URLs given by Blogger, WordPress are a set of subdoamins. those will see like this. importance of these are most of the time these are provided free. What are the second level domains and lower level domains.....? 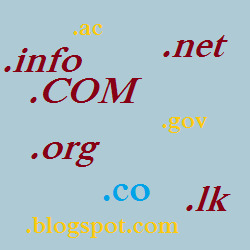 These are a type of domains which include some part on the left of the TLDs like yourname.co.com. At last I again like to summarize the importance of top level domain. 1. You can have a short URL. 2. You can have a attractive name for your site. 3. 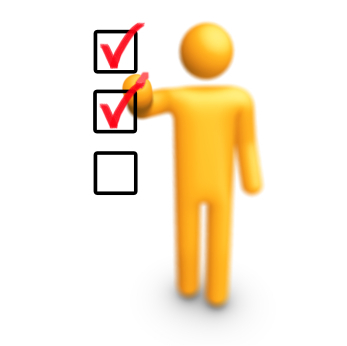 You can have more preference by search engines. 4. Easy to get good page rank. 5. Easy to get good Alexa rank. 6. More chance to get approved by advertising networks. 7. Easy to attract readers for the site. So, I think now you have gain at least very essential things regarding domain names. Therefore now you are able to find a relevant URL for your site with out wasting your money.In next article I will talk about how to add a new domain for your site. Here you can visit to "Go daddy" site with amazing discount even up to 50% discount to buy a domain. If you like to have it anywhere else you can have it there too. however get prepared for the next article.